Frost Protected Shallow Foundations are a practical alternative to deeper, more costly foundations in cold regions that experience seasonal ground freezing and frost heaving. 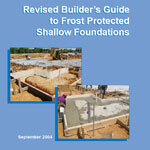 LiteForm’s Frost Protected Shallow Foundation Systems have been used for over 20 years in Nebraska and Iowa. Our forms have also been a part of several projects in Montana and near the Canadian border without fail in sub-zero temperatures with 100% satisfaction by our customers/owners. 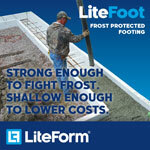 Frost Protected Footings by LiteForm not only simplify the building process but also save thousands of dollars with no compromise in quality or in long-term performance in residential and commercial foundations.